The reunion seemed inevitable but the longer time passed, I was fearful that another team would entice CC Sabathia to trade in his pinstripes. He spoke with the Los Angeles Angels (a team desperate for starting pitching) and the Toronto Blue Jays. He never expressed an interest in the Oakland Athletics or the San Francisco Giants but I always felt that if they reached out to Sabathia, the appeal to return to his native Northern California would have been very strong. In the end, Sabathia opted to return “home” for some unfinished business. Mark Feinsand of MLB.com broke the story first yesterday that Sabathia had signed a one-year, $10 million deal with the Yankees subject to a physical. Jack Curry of the YES Network reported later in the day that Sabathia had taken and passed the physical yesterday afternoon, thereby making the deal official. Welcome back, CC! We’re very glad to have you. The move presumably does not alter the Yankees plans to add another quality starting pitcher although they now have five starters on staff. Realistically, I do not expect Sabathia to match his 2017 season when he went 14-5 with 3.69 ERA. He’ll turn 38 in July. But the veteran knows how to win and is a team leader. With an inexperienced manager and bench coach, the value of Sabathia’s leadership cannot be understated. It’s very interesting that the 2005 Cleveland Indians roster featured the Yankees manager (Aaron Boone), the Yankees Bench Coach (Josh Bard), the Red Sox manager (Alex Cora), and a very young Sabathia. Boone was there for the early years (CC was only 24 during that 2005 season) and now he’s back for what may very well be Sabathia’s final year. 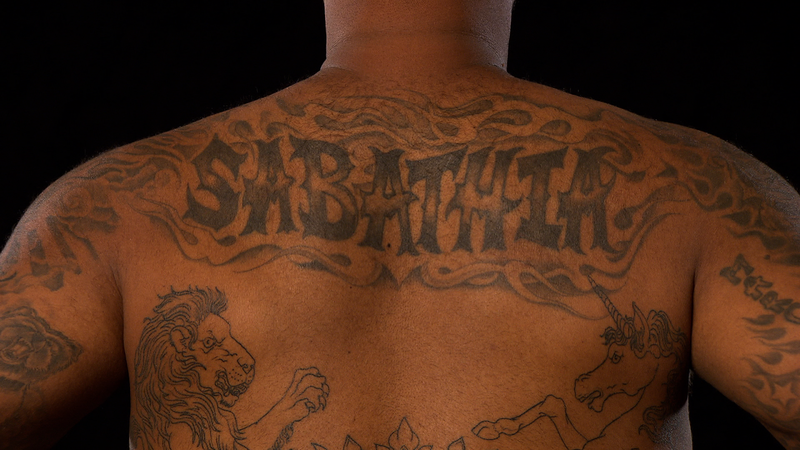 If the Yankees win the 2018 World Series, I have no doubt that Sabathia will ride off into the sunset. I cannot imagine a better Yankees career than starting and ending with World Series championships. Yesterday, the Los Angeles Dodgers’ front office showed their brilliance when they unloaded the bloated contracts of Scott Kazmir, Brandon McCarthy, and Adrian Gonzalez plus infielder Charlie Culberson on the Atlanta Braves. It is the same trio that the Dodgers tried to pawn off on the Miami Marlins for Giancarlo Stanton. Sure, they had to take back former Dodgers outfielder Matt Kemp, but the deal effectively reduced Dodgers payroll for the coming season by approximately $23 million which helps the team get under the $197 million threshold to reset luxury tax penalties. Gonzalez will never wear an Atlanta uniform. As part of the negotiation to waive his no-trade clause, Atlanta will release Gonzalez tomorrow, making him a free agent. It is also very questionable if Kemp will ever wear the Dodgers uniform again. The move helps to ensure that the Dodgers will be prime players next off-season when Bryce Harper, Manny Machado, Andrew Miller, Craig Kimbrel, Clayton Kershaw, Dallas Keuchel, Josh Donaldson and others hit the open market. 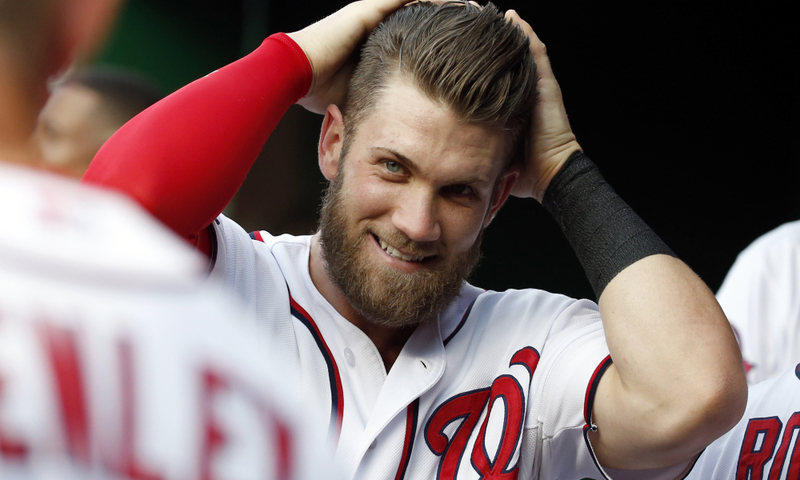 Everybody had presumed the Yankees would sign Harper but the Dodgers have emerged as the leader for Harper’s services. 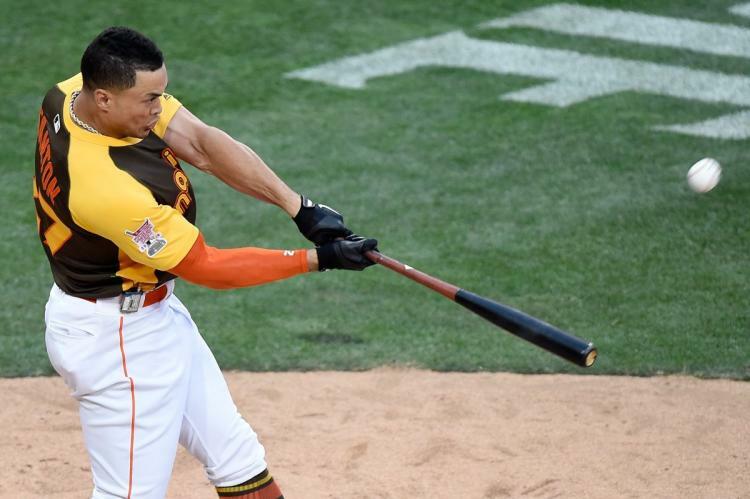 Fortunately for the Yankees, they were able to acquire Giancarlo Stanton which gives them reason to pass on Harper and the $400-$500 million that it will take to sign the Las Vegas native. Andrew Friedman and Farhan Zaidi can thank Braves GM Alex Anthopoulos, who served in the Dodgers front office last season. From the Braves perspective, they are free of the two-year obligation for Kemp, and the heavy contracts they acquired expire at the end of the upcoming season (making Kazmir and McCarthy desirable “rentals” at the trade deadline next summer). While I don’t believe that the Dodgers sudden emergence as a major player in the 2018-19 free agent market will adversely impact the Yankees desire to add Manny Machado (the Dodgers have great players at third and short, Justin Turner and Corey Seager), it will add significant competition for other players. I’d really love to see the return of Andrew Miller to the Bronx but the Dodgers almost certainly will be aggressive in their pursuit of quality bullpen arms. 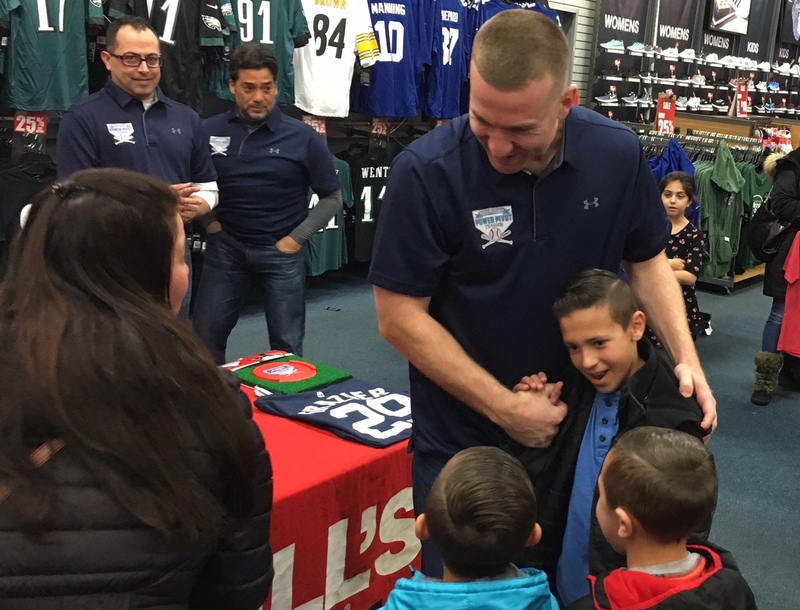 With no offense to Miguel Andujar and his questionable defensive skills, I remain hopeful the Yankees can find a way to bring back third baseman Todd Frazier. Andujar would benefit from another year at Triple A. Frazier was signing autographs in Toms River, New Jersey yesterday. Every time I see off-season pics of Frazier, it reinforces to me how much I’d like to see him back in Pinstripes. Hey Cash, make it happen! The MLB Network has been replaying past Home Run Derbys and I have to say…man, I love watching Giancarlo Stanton hit home runs. CC is 5-7 million to much. Hicks bedore Frazier in trade because when Hicks gets everyday at bats his average is below or at .200. Trade Hicks while on upside and hold on to Frazier. I would had went with T.Frazier and took my chances with Chance Adamas or Chad Green over CC. Trade Hick in a NY second and go with Adams, Green, "Ace" or damn near anyone not CC. 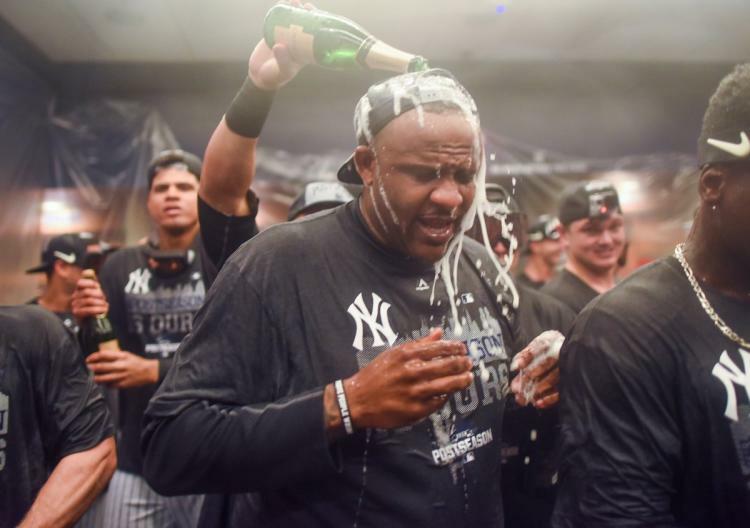 CC has had a remarkable time with the Yankees and has done a very good job except for one year (I think). But we need a pitcher that can compete over the 162 games. Scott Fielder....Great posting again. Very well done. Sabathia would have run away from his salary mathematics. The Paul O'Neil of third base. You need players like this for the 162. And, beyond ! I like Todd also, it's just, he will not sign for one year! Guys like him are good for the club house and he can play better than Miguel Andujar for now anyhow.